How do we convince people to show up to our events? 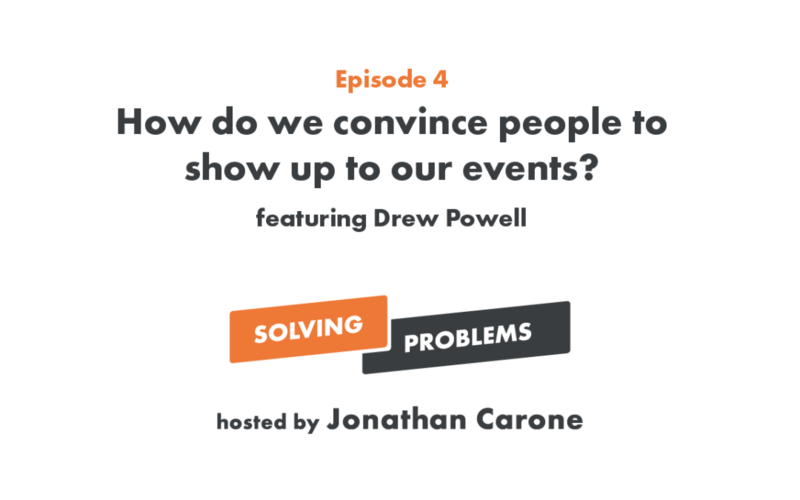 Drew Powell from Crosspoint Church is back with us to talk about why our event promotion usually doesn’t work (2:45), how the hype man is played out (6:38), and how to craft your announcements to connect with people (8:14). He gives us a great story of how he leveraged what people were already thinking into Crosspoint’s biggest one-day small group sign ups ever (10:03) and we discuss having fun with failure (17:07). Plus – are QR codes a thing again (24:20) and a quick tip with Kyler (26:40).